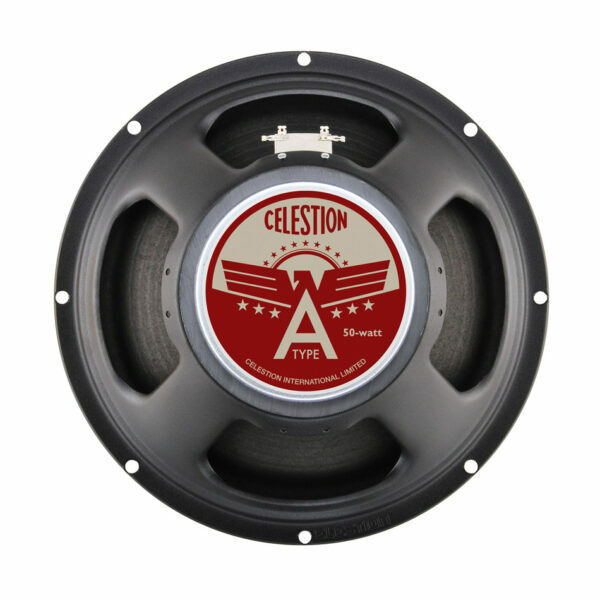 The Celestion A-Type is a different kind of guitar speaker waiting to be discovered. Still faithful to the Celestion sonic spirit; a big, blooming low-end meets relaxed mids and smooth, silky highs with surprising results. Explore new tonal possibilities and unleash a bold new voice from your amplifier. Supremely musical and three-dimensional in sound, the A-Type has a more laid-back midrange than other speakers in our range, revealing body and complexity across the entire frequency spectrum. Players looking for clean tones will enjoy the smooth articulation, while rock fans will rejoice in the thundering low end.